JACKSONVILLE – In his first meeting as a Legislative Audit Commission member, State Representative C.D. Davidsmeyer (R-Jacksonville) discovered over $12.3 million paid to thousands of deceased Medicaid recipients in a 2013 audit of the Department of Healthcare and Family Services. Staff from the Illinois Department of Healthcare and Family Services (HFS) blamed the error on delays in information transfer and an outdated computer system. “The computer systems that the Department of Healthcare and Family Services use to make and track Medicaid payments are older than I am,” said Davidsmeyer, who is 35 years old. Rep. Davidsmeyer is encouraging the State to speed up the process of replacing their outdated systems and recouping payments made to health care providers for deceased recipients. “The cost of replacing the State’s outdated computer system does not out-weigh the waste we have found. 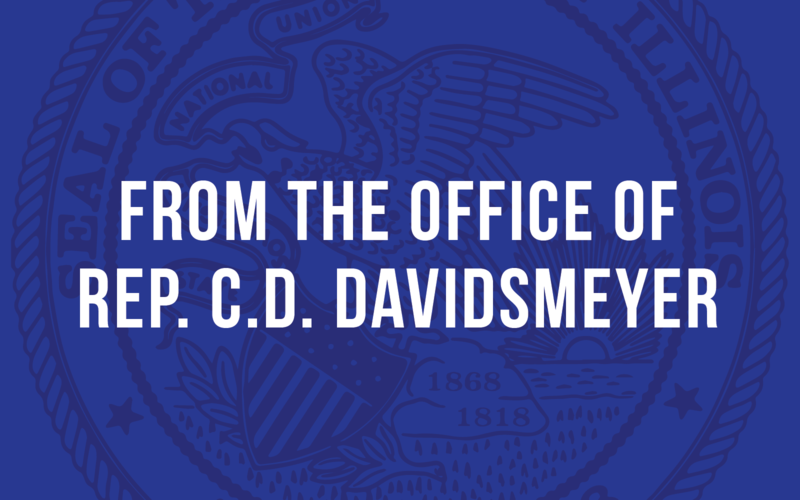 While the majority of those payments are recovered, we must do everything we can to root out waste, fraud and abuse and work to ensure that our tax dollars are spent wisely,” said Davidsmeyer. The Legislative Audit Commission reviews and analyzes audits completed by Illinois Auditor General William Holland, who is in his third 10-year term. Holland’s office is responsible for performing audits and making recommendations to prevent errors from reoccurring.